Thank you for visiting our honeymoon gift registry! We are so excited to be celebrating our honeymoon in amazing Thailand! We have a great itinerary planned and we can't wait to share all of our adventures with you when we return. We will marvel at this four day trip to historical and natural attractions in Kanchanaburi and Ayuthaya, including trekking and rafting as well as exotic temples and ruins. 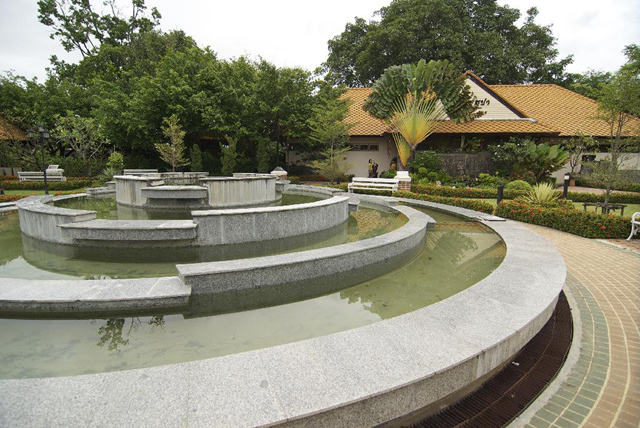 There are many historical structures and artifacts within this temple compound. The large Ubosot or ordination hall itself is over 150 years old. 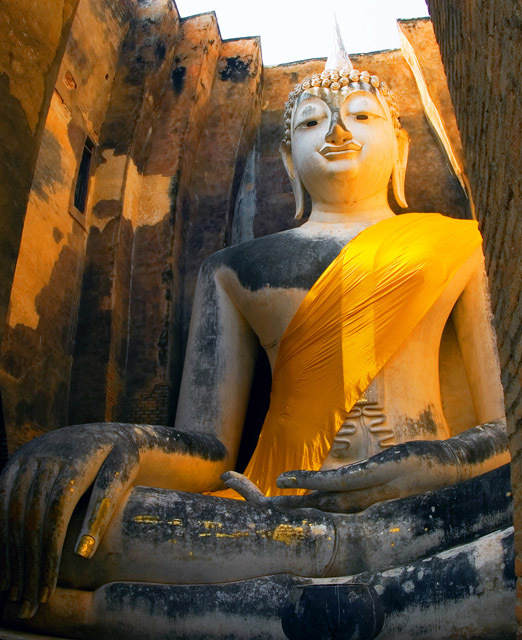 Wat Mahathat is one of the oldest and most significant temples in Thailand, located in Sukhothai. According to historians, the temple was established in the 13th century and was rebuilt in the beginning of the 14th century. Known as the temple of the Bodhi Tree, Wat Si Chum was built in circa 13th Buddhist century. The highlight is the graceful Buddha sculpture enshrined inside the remaining structure of the square mandala building. 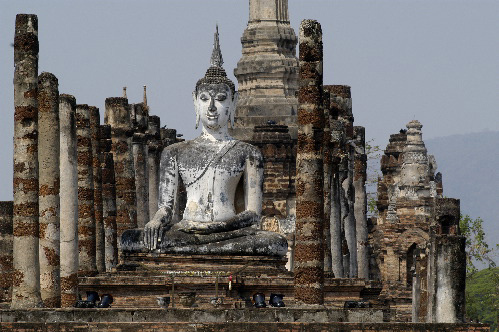 Parts of the temple were ruined through the test of time but the remaining structures can be archaeological evidences that portray the heydays of Sukhothai when it was a great kingdom. Probably the most visited and remembered landmark of Thailand, The Grand Palace in Bangkok is where every visitor must pay a visit at least once in their lifetime. The construction of the Grand Palace began in 1782 during the reign of King Rama I. The Grand Palace served as a significant royal residence until 1925 and is now used for ceremonial purposes only. 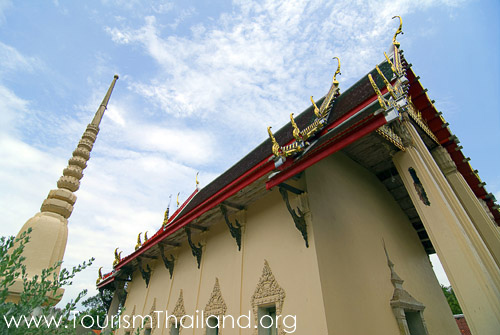 Perhaps the most famous and important temple in Chiang Mai, every visitor must pay a visit. 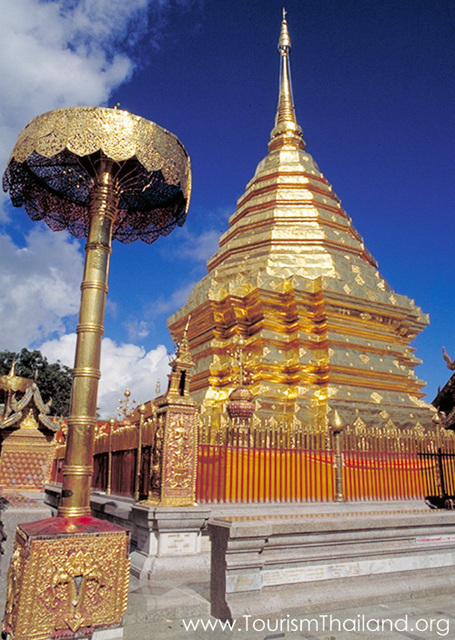 On top of Doi Suthep Hill finds the revered golden Phra that Doi Suthep rises against the sunlight. 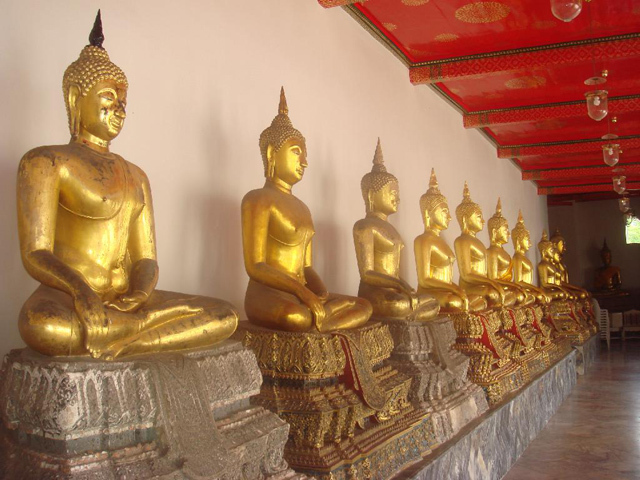 The temple was built in 1383 to enshrine Buddha’s relics. Wat Phra Chetuphon Wimonmangkalaram or Wat Pho, as it's commonly known, was built in the 16th century and regarded as the royal temple of the reign of King Rama I. 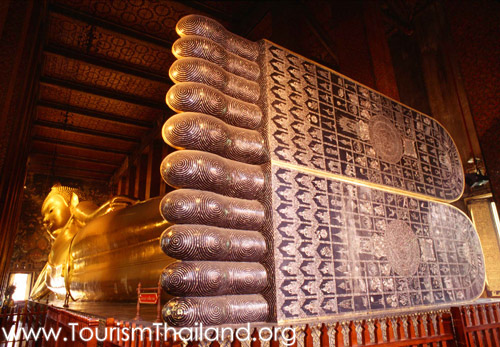 It is famous for two things: the 46-meter-long Reclining Buddha built in 1832 featuring the feet beautifully inlaid with mother-of-pearls and the Thai massage. 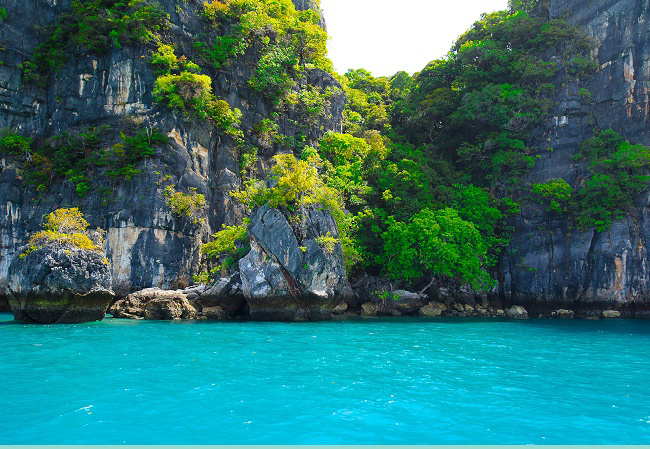 The world famous Phi Phi Islands is an archipelago that consists of a total of 9 islands. We will visit the two most famous islands, Phi Phi Don and Phi Phi Ley, with several stops along the way. First stop is at Phi Phi Don, where we will explore the island at our own pace. Phi Phi Don is known as a backpacker’s paradise with charming small alleyways where we can find souvenir shops, restaurants, and bars. Second stop is in the beautiful Viking Bay, where our Kon-Tiki guide will take us snorkeling and diving. Situated some 65 kilometers from Kanchanaburi along Route 3199, this 550-square-kilometer national park is best known for its seven-level Erawan Waterfall, which is one of Thailand’s most famous and most beautiful waterfalls. Among all levels, the second level of the fall features a vast picturesque pond ideal for swimming while trekking trails to the upper levels are also favored by adventurous lovers. We will take in an amazing tour around Ao Nang's archipelago. We will enjoy some of the most beautiful beaches and islands in the Krabi province in southern Thailand. 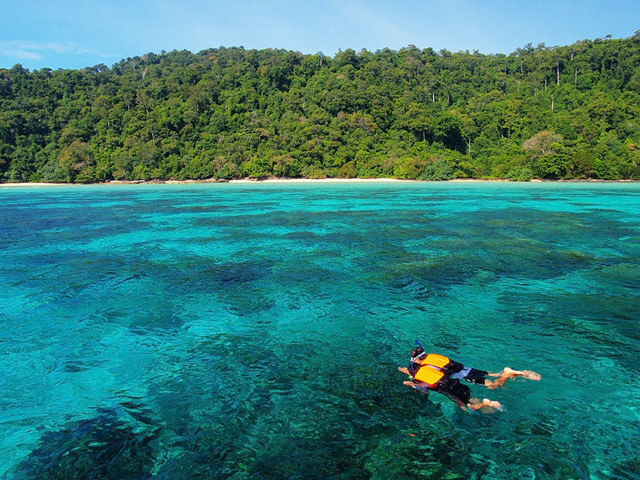 We will get the opportunity to relax on the beaches, swim in the clear warm waters or go snorkeling and discover an amazing underwater world of the Andaman Sea! 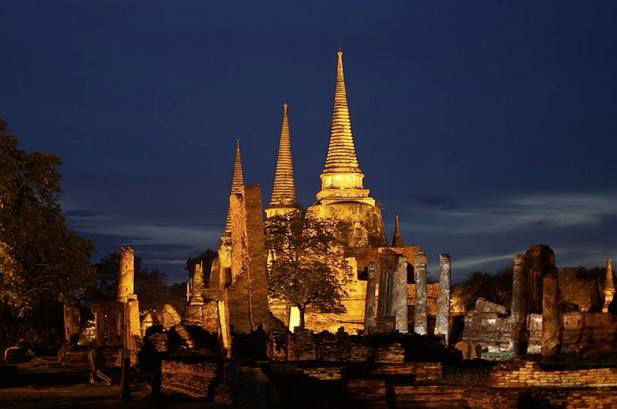 A visit to Sukhothai wouldn’t be complete without a visit to the historical site of the ancient Sukhothai City, to discover the history of the former capital city of Siam. The 70-square-meter park houses remaining structures of what used to be palaces, temples and homes. 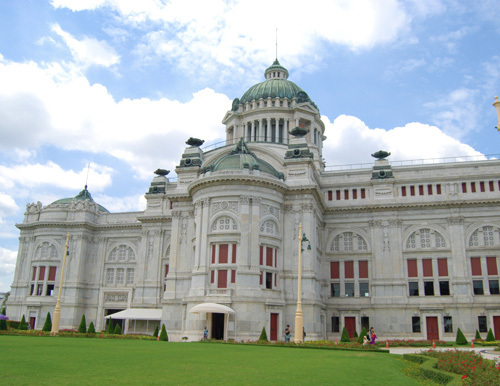 There are two main reasons a single traveler must visit the great Ananta Samakhom Throne Hall. Firstly, this structure is one of the most beautiful Italian Renaissance architectures outside Italy. Secondly, Ananta Samakhom currently hosts the fifth edition of “Arts of the Kingdom” exhibition that displays sophisticated art pieces and crafts made of precious materials by the craftsmen of Sirikit Institute. We will traverse the exciting Thailand’s first night safari in the 50-seat open air tram to meet elephants, giraffes, zebras, lions, Asiatic black bears, tigers, hyenas, crocodiles, and many more. Many activities are lined up, especially if we are ready to have a direct contact with the animals, including bathing elephants, feeding hippopotamus and rhino horn. Bangkok’s Chinatown simply has two faces: If you visit Yaowarat during the day, what you see along both sides of this one and a half kilometer road are shops selling gold, Chinese herbs, fruits and Chinese restaurants serving authentic cuisine. But if you visit Yaowarat after sunset, the road turns into a street food heaven where a number of food trucks will prepare us marvelous food, from Chinese fried noodles to iced Chinese dessert we will hardly find elsewhere. 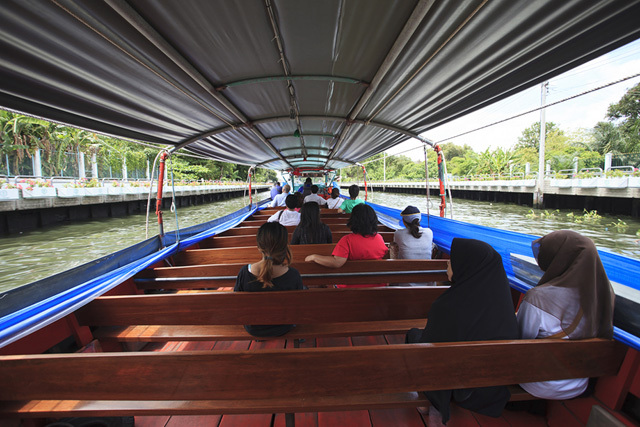 We will escape the busy city streets for the day and travel on the Klong Tour! 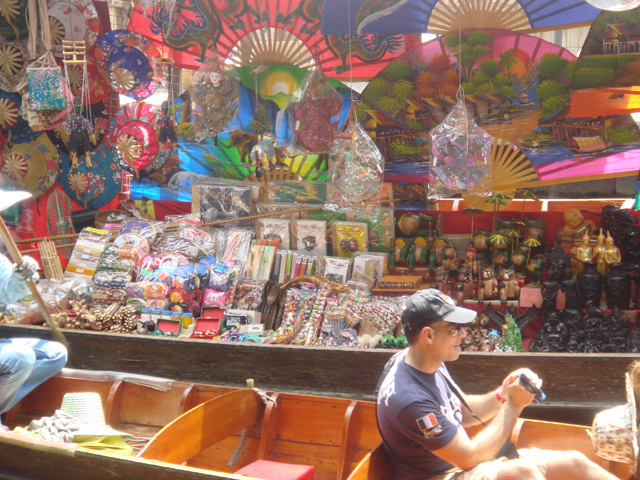 Bangkok has been called the Venice of the East due to many canals known as Klongs. We will travel like the natives used to in the old days and see Bangkok from a unique perspective that many never get to take in. After the boat trip we will visit the Temple Dawn with it richly decorated 66 meter high Khymer style tower. 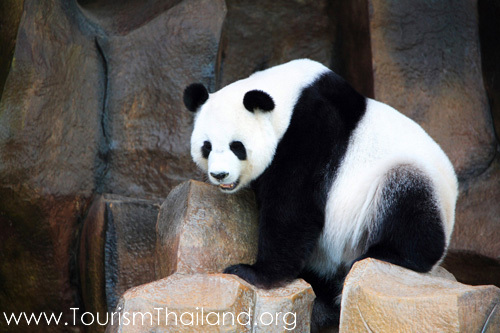 Over 200 types of Asian and African mammals can be found in this striking landscape here at Chiang Mai Zoo. We will say hello to the China Panda Family Ambassador to Thailand, Linping, Lin Hui, and Chuang Chaung at the Panda House. We will follow by immersing ourselves in Asia’s longest 133-meter underwater tunnel at the new aquarium where we will discover rare sea and river fish from northern regions including Khong River Basin, Amazon River Basin, and the mangrove. Only 36 kilometers from Chiang Mai town we will be plunging in one of San Kamphaeng hot springs amid natural surroundings of lush trees and verdant hills. The spring contains sulphur and minerals believed to help restore skin and relax stress. Farmers from Ayutthaya as well as from other provinces undergo training in folk arts and crafts here. 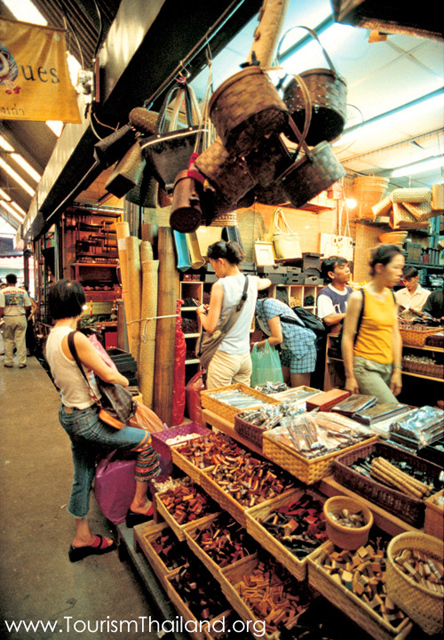 At this Centre, we will have a glimpse of how farmer’s products of arts and crafts are produced including Weaving Basketry, Artificial Flowers, Wood Carving, Miniature Hand - Modelled Thai Dolls, and Furniture Making. 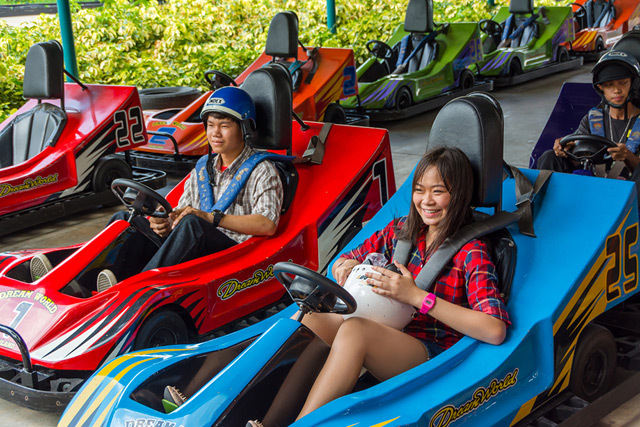 The adrenaline rush-lover can’t miss this exciting sports place. Its home to the racing track that allows us to drive a small racing car. They also offer other adrenaline rush experiences such as bungee jumping and battlefield for paintball wars. We will dine like the locals with the delicious cuisine for the region. 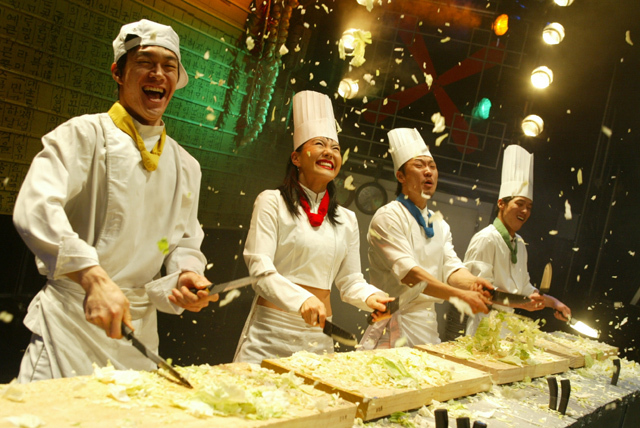 We will enjoy dishes like Thai spring rolls, Thai green curry, chicken satay, Tom Kha Gai and much more. We will go out and grab lunch locally. We will choose from the many local restaurants with their authentic Thai dishes and drinks! 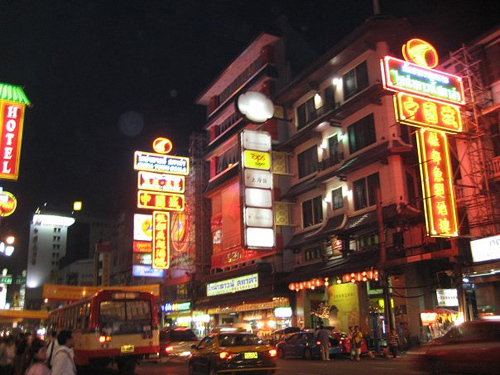 We will go out and enjoy the nightlife that Thailand has to offer. 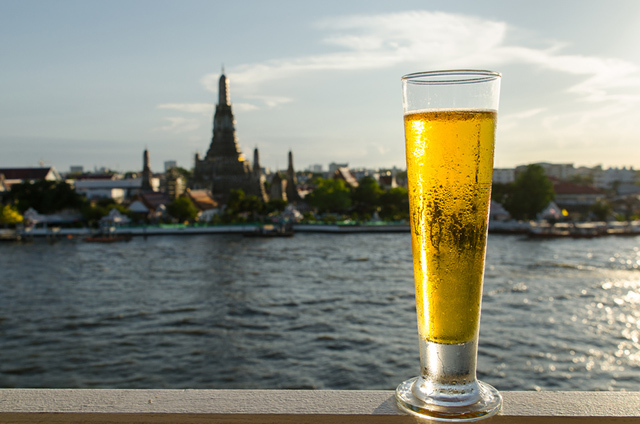 We will drink Thai beers such as Singha and Chang and locally made whiskey Mae Khong and Saengsom. 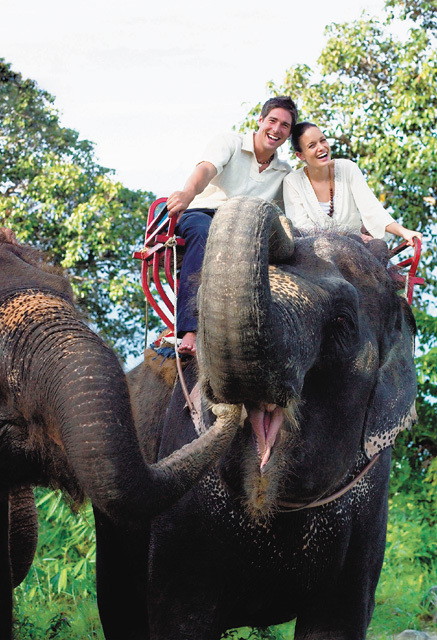 There are few experiences in Thailand more iconic than riding a Thai Elephant. 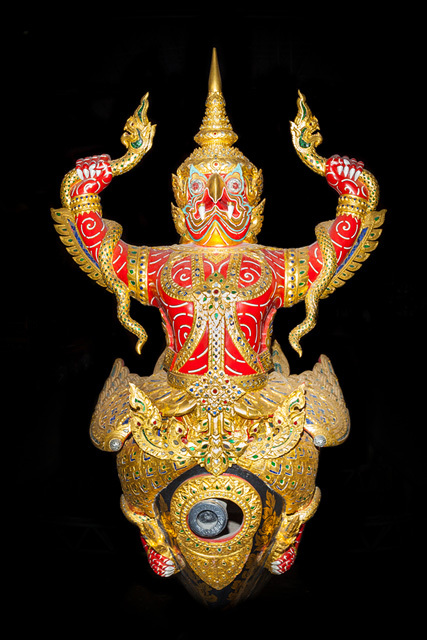 The elephant is seen as a symbol of the nation and a talisman for the Thai people. A trek will allow us to experience this first-hand, as well as the animals' natural forest environment. We will witness one of the most exciting sports in the world! 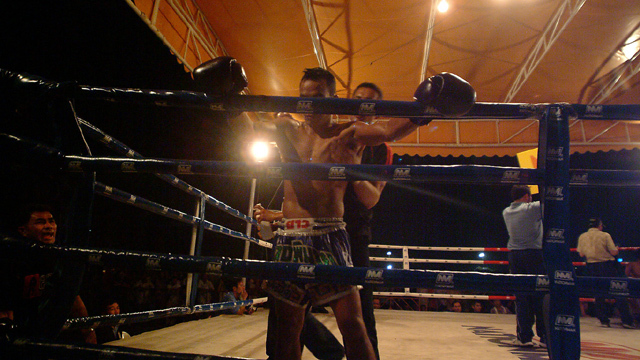 There is simply no better place to watch Thai boxing then in Bangkok. We will be in an audience full of locals experiencing the fight first hand. Afterwards, we will get to meet the boxers and pose for pictures with them. We will enjoy a rejuvenating spa treatment in one of Thailand's luxurious spas. A famous traditional Thai massage offers the perfect antidote after a long day of shopping and sightseeing. As one of the most striking rock formations, Hong Archipelago is a composition of 12 islets that vertically stretch from the North to the South of Krabi Sea. The islands are blessed by its shady silhouettes and Mother Nature’s charm. 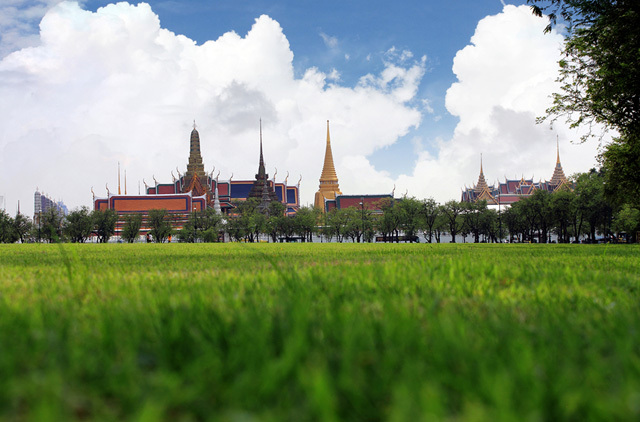 Sanam Luang is a multi-purpose, leisure park at the heart of Bangkok, located in the north of The Grand Palace near Chao Phraya River. 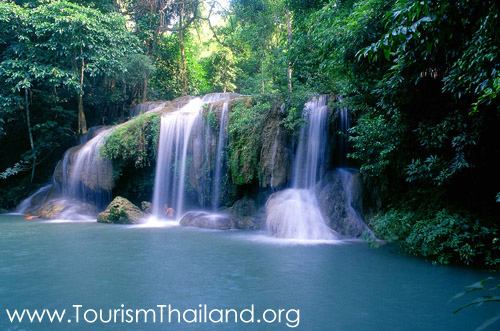 Perhaps the best known attraction of Kanchanaburi and is featured in world’s famous book and film. 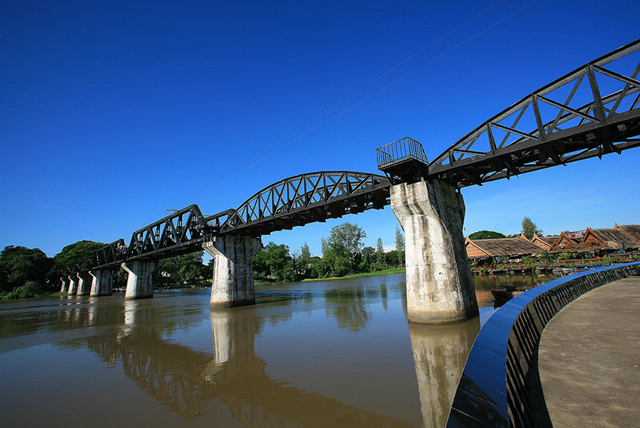 The Bridge on the River Kwai is part of the infamous Death Railway, spanning over KwaiYai River, built by the prisoners of the World War II under the supervision of Japanese Imperialism Army. Koh Haa is known for its crystal clear waters and located just west of Koh Lanta and in the province of Krabi. The protected lagoons shape is a breath-taking view. Here we can snorkel or dive over some of the most diverse coral reefs in the world combining marine life and all the colors of the rainbow. 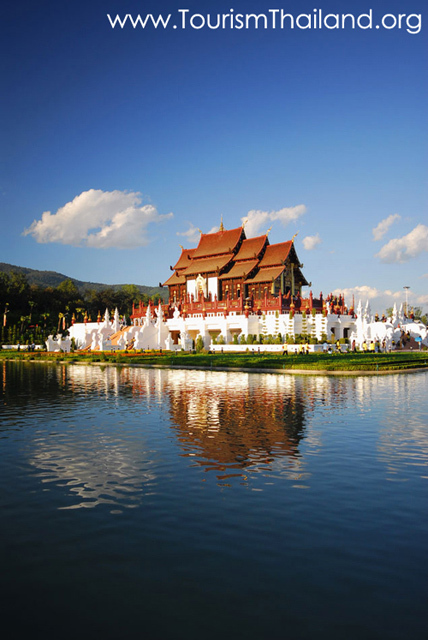 The Royal Park Ratchaphruek sits in Mae Hia sub-district and covers an area of 240,000 square meters, divided into different zones. We can enjoy the whole day here. One of the finest National Parks in Chiang Mai, Doi Fa Hom Pok offers us a chance to discover the natural beauty of its hot springs, waterfalls and caves. 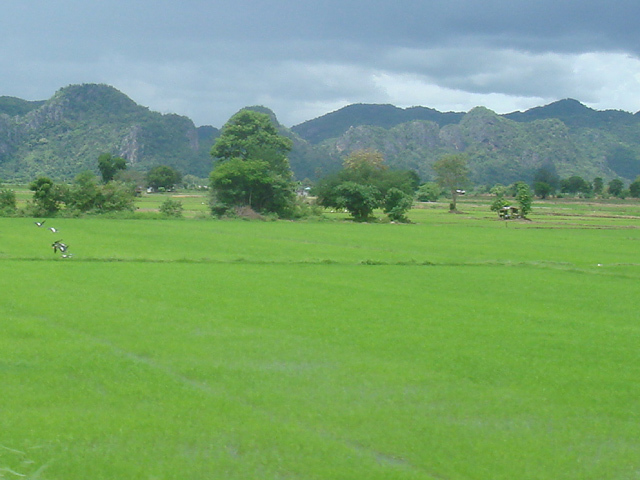 At the Muak Lek District, there are vineyards open all year for tourists. 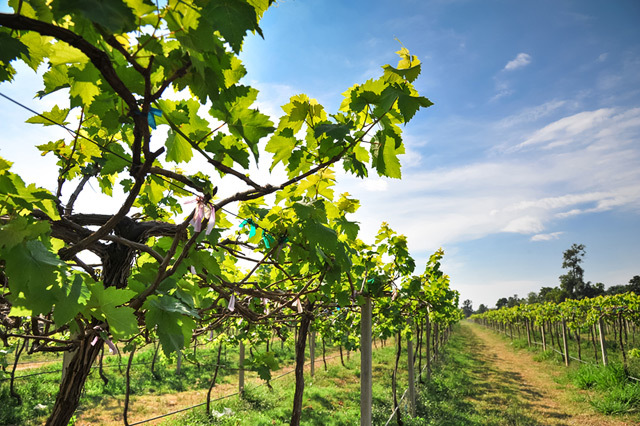 We can either taste fresh grapes, processed grape products such as wine, seedless grapes, grape juice, grape candy, grape jam, raisins, preserved grape jam, etc. or join a grape picking activity. 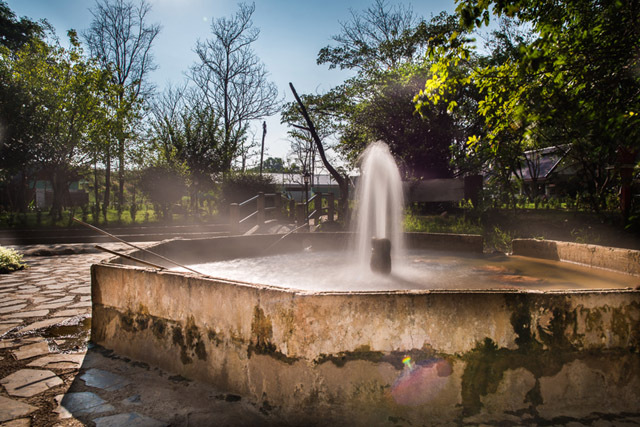 This natural spring, its hot water bubbling to the surface, is a relaxing venue for the health-conscious. The area has been developed into a health tourism spot and spa services are available daily. These include mineral water bathing, massages for the feet and the body, and other spa treatments. 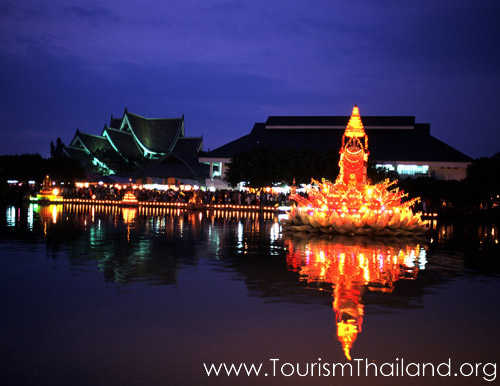 The Floating Market is a place where we can experience natural beauty as well as culture with the natives. Tasty noodles are cooked and served from wooden boats as well as tropical climate fruits and vegetables. We will be transported back to the past in an instant and get an appreciation for a different culture. It is lively and peaceful experience that we will never forget. We will be amid thousands of colorful butterflies housed underneath a giant 15-meter-tall open-air dome, covering an area of 1,100 square meters at Bangkok Butterfly Garden and Insectarium. It is located within the Vachira Benchatat Park. 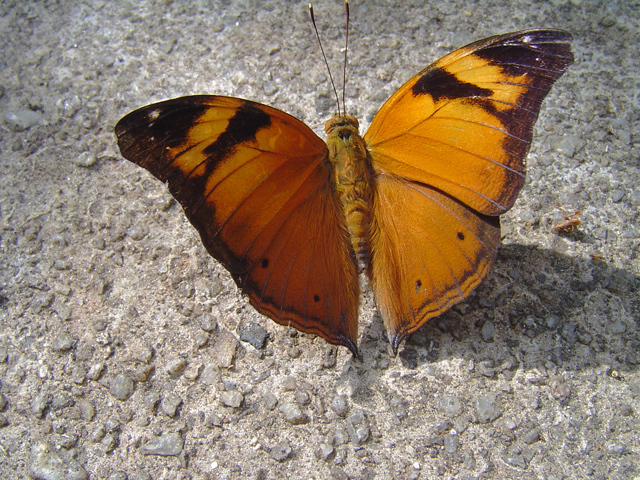 The park comprises of everything to learn about butterflies and insects, from exhibition rooms showcasing life cycle of insects to activity spaces. 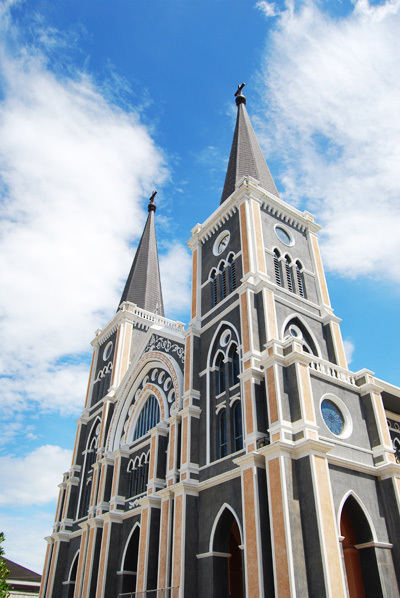 The Catholic Church on Chanthanimit Road on the river bank is the largest Catholic edifice in Thailand. Built in 1909, it is of Gothic architectural style. The original tall roof was taken down during World War II to make it less conspicuous as a possible target. 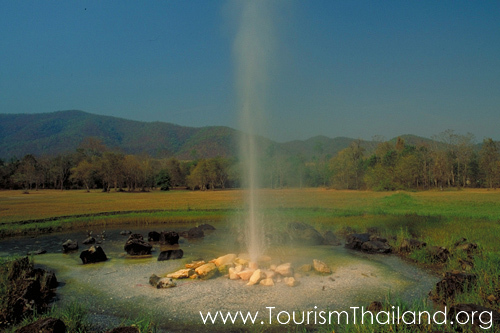 We will get to experience on of the oldest and largest national parks in Thailand. 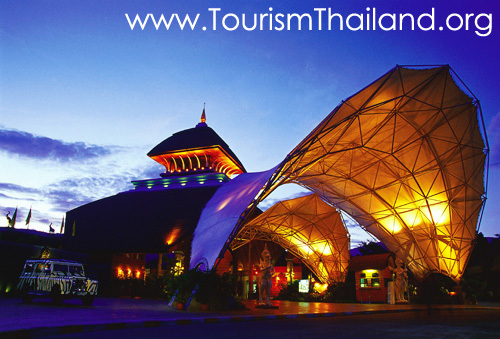 Located about 170 Kilometers Northeast of Bangkok, in 1959 Khao Yai was declared a nature preserve and is now home to 153 different types of animals. With a preserved animal world that includes monkeys, elephants and buffalo, we will never run out of things to look at! The Royal Barge Procession, a royal ceremony that involves more than fifty gold-crafted barges, is one of the most spectacular events in the world. With a long-run history since Ayutthayaera, the procession aims to transport the king and/or member(s) of the royal family during special events, such as when delivering the new robes to the monks after a Buddhist Lent period. 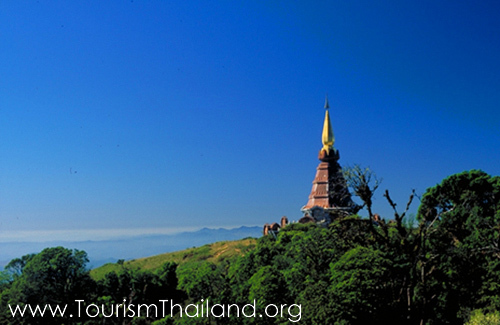 Located inside Mae Ka Sa Village, this place offers several thermal baths with beautiful scenery. We will learn how to cook Thai food like a pro! 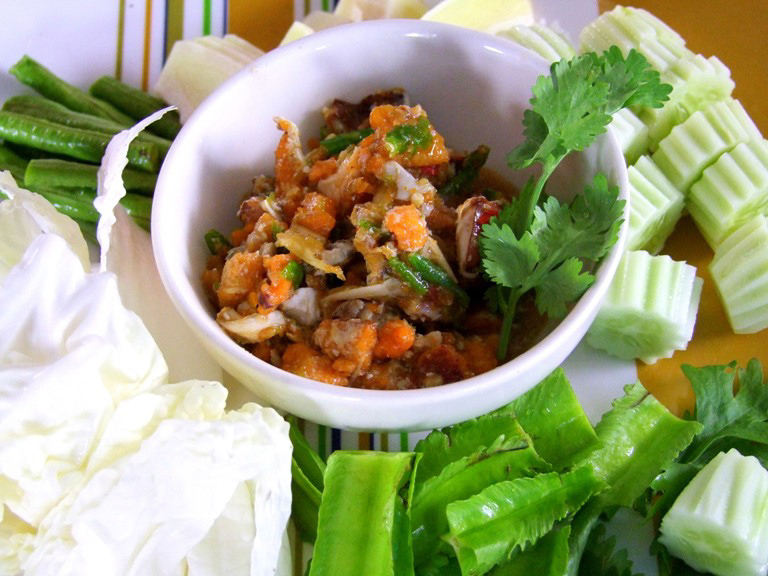 As so many visitors love to eat Thai food, it’s unsurprising that many would want to learn Thai cooking too. Thai cooking classes range from one day fun courses to extensive chef training programs, both of which can be equally fun and informative. 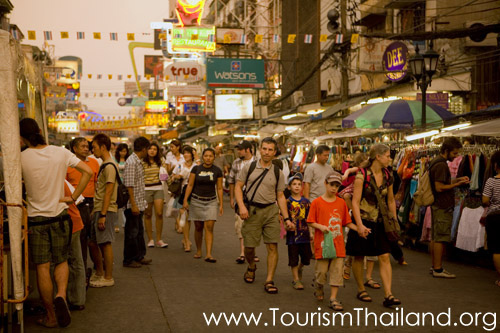 Perhaps the best known Bangkok’s district among young and budget travelers, Khao San Road is a short street located a kilometer north of the Grand Palace. We will enjoy a wide range of budget accommodations, an array of restaurants and bars offering international foods and drinks, an army of food trucks. This island is situated southeast of Koh Chang and is comprised of twin mountains linked by huge rocks with a huge sand knoll at the middle.The little bay formed by the lines of the mountain stretching into the sea makes the island a splendid and serene site worth visiting.